SCAPE Studio is a New York City based architecture firm, established in 2004. SCAPE is skilled in research and design practices, conflating principles of ecological urbanism, strategic planning, landscape architecture and sustainability into a majority of their projects. They approach architecture with great comprehension, thinking about the many transformative elements of a space. They aim to" influence design, public education and policy through a range of outputs, including reports, books, pilot projects, parks, gardens, play spaces and installations." Kate Orff is the founding principal of SCAPE Studio, a registered landscape architect and an Associate Professor at the Columbia University Graduate School of Architecture, Planning and Preservation. Her work has been featured in social publications such as the Economist, the New York Times, and New York Magazine, in addition to architecture periodicals such as Metropolis, Dwell, Azure and Landscape Architecture Magazine. Kate Orff "explores the cultural and physical complexity of urban landscapes and their unique textures, ecologies, programs and publics." SCAPE's newest project involves the redesign of the Mississippi waterfront parks. The Mississippi River flows through three distinct divisions: upper, middle and lower Mississippi. This structure will be built in the upper, middle division, alongside downtown Minneapolis and the University of Minnesota Campus. With this project, The Minneapolis Parks Foundation is "aiming to redefine the city’s relationship with the riverfront over the next 20 years, starting with building an immersive waterfront park in the heart of the city, about a mile upriver from campus." Orff hopes to generate a unique, interactive and aesthetic nexus between the park's green space the Mississippi River border. This design protocol fits into SCAPE's approach to ecological urbanism and should translate to a brilliant end result. SCAPE Studio is one of the renowned design firms featured in our forthcoming BOOK! Stay up-to-date on international news regarding sustainable architecture! 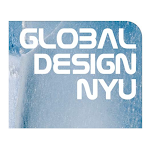 Visit gdnyu.com, like Global Design NYU on Facebook and follow us on Twitter (@gdnyu). "Studio." SCAPE: Info Page. SCAPE Studio, 2004. Web. 06 Mar. 2014. Cummings, Meara. "City to Redefine Mississippi Area." Minnesota Daily. The Minnesota Daily, 06 Mar. 2014. Web. 06 Mar. 2014.
you share a nice information related to Business.Best of luck for sharing all your post . This is very good information about landscape gardener.